1. “Switch things up” with your room’s furniture. Every three to four months, consider moving your rugs around, changing up your furniture placement, etc. You don’t need to make radical shifts — just scramble the decor enough so that different areas of the floor get different levels of sun exposure. 2. Protect your floors with plants, drapes, or shades. Just like the searing sun can burn your body, if you expose it too long; so, too, can the sun burn an over-exposed floor. Use drapes or curtains to offer shade — or plant bushes out in front of the window to negate the searing sun’s effects. 3. Refinish your flood floors regularly. Don’t wait until sun damage (or water damage… or any other kind of damage) gets too severe. By being mindful of your floors, you can systematically “catch and thwart” sun damage before it becomes permanent or defacing. 4. Redesign the lighting scheme of your room. For instance, instead of allowing harsh direct sunlight to shine through your windows, install UV-shielding windows or permanently shade the window and install beautiful skylights to naturally light up the room without scouring the floors with sun. 5. Discuss other solutions with battle-tested hardwood floor experts. 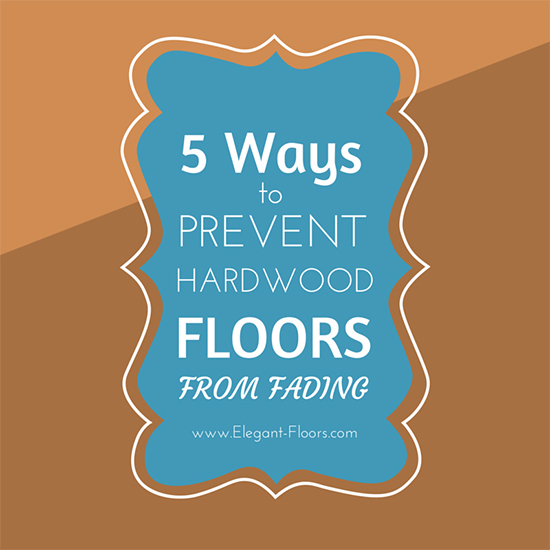 The team here at Elegant Floors is happy to give you insight into how to take better care of your hardwood floors — to prevent sun damage, water damage and other types of degradation. 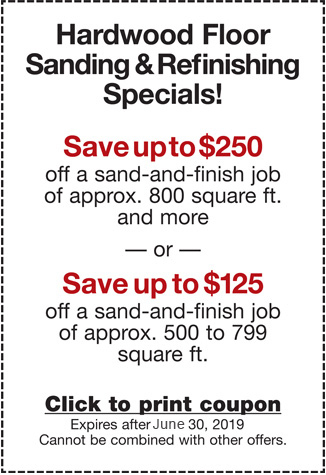 If your floors are so badly damaged they need to be refinished, Call us today at 650-961-1339 for a free estimate. Check out our hardwood floor installation options to see which flooring type interests you most!